First target has been achieved. Nifty closed at S. 11624 which give it move. Short trader should keep stop-loss 11679 above as trial. Intraday R. 11659 nearby (seller can come to this point intraday) with intraday support @ 11575 nearby. 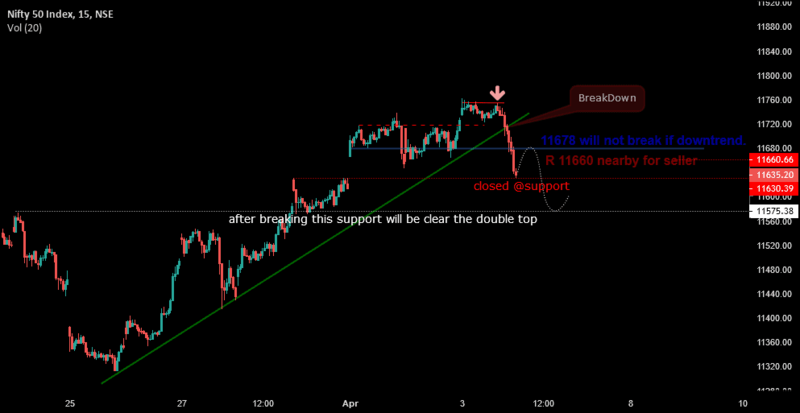 Intraday targets 11668-11676 and this is support also. Suppose to not break 11670 below, then its can bounce uptp 11724-11748 and upto resistance 11770. Below to 11670, NF is not can fall 100-130 points. Resistance is too far at 11776. 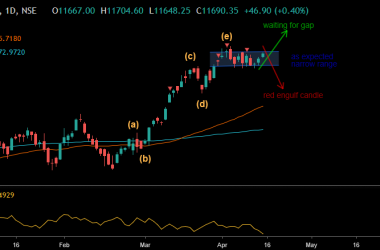 Nifty ATR is at 111 which means if short term downtrend started, then 11635 -111 = 11524 below. Double Top is not clear still. RBI monetary policy on April 4. The selling in the last hour. 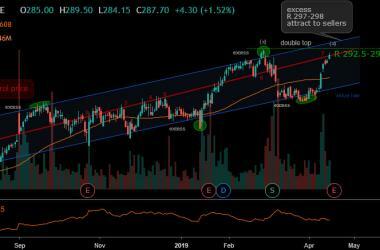 Forming ‘Bearish Engulfing’ pattern on daily chart . 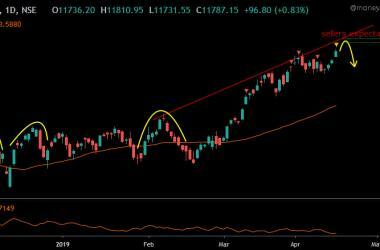 The short term trend of Nifty is weak. NOTE: Both charts are for SPOT NIFTY.